If you need an expert SEO consultant, with experience in diagnostics, strategy development and management or simply an advisor or technical troubleshooter, we can help. Our experienced SEO specialist can easily determine why your website is not attracting the organic traffic you want- and guide you on the best plan of action. We can develop a work plan for improving your visibility within search and getting you the traffic that’s best targeted by your content. We use only the safest SEO techniques- the same ones we teach here. Tried and tested on project websites, our recommendations will keep your domain authority safe and increase your rankings. SEO is never completely done- there is always something that can be improved, more traffic to target, a wider range of long-tail keywords which can be pursued throughout more verticals. Any website can be optimised better. Doing so, generates more traffic and increased revenue. Search engine optimisation and the work of professionals within that industry- are both still evolving rapidly. By teaming up with an experienced practitioner, you’ll be getting the benefit of someone’s campaign experience across a range of industries and professions- and access to safe, cutting-edge techniques. 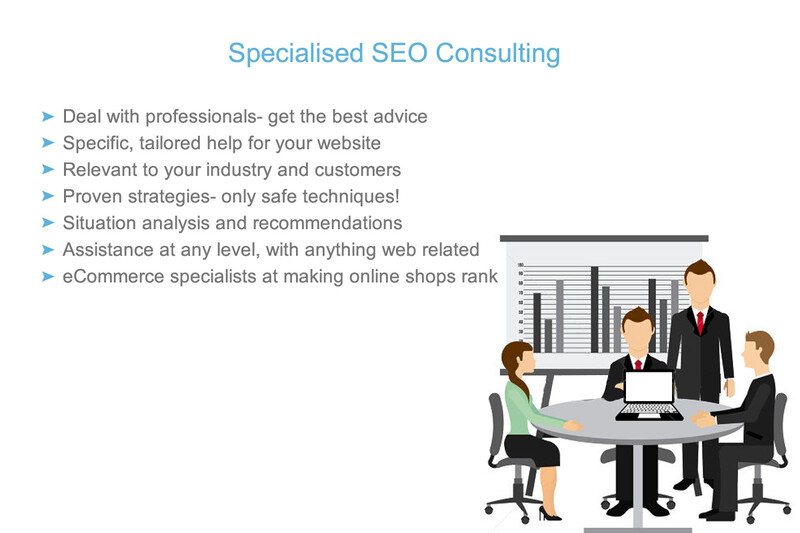 As SEO advisors, we take on an important role within your business. We draw attention to areas of your organic search campaign which can do with a performance boost, and outline the steps we intend to take to make that happen. You’ll know what we plan to do every step of the way- and we encourage your input and contribution.many of the projects we undertake are for great businesses that don’t have the volume of traffic needed to sustain grwoth. We will find the incentives needed by people searching online to encourage them to do business with you. People are in different mental zones during their web surfing sessions. They are subjected to interruptions- advertising, remarketing and distractions are a normal part of life, both online and offline. As we work with you, we’ll concentrate on creating web content for your website that speaks to your prospects when they are on your website because there’s where they want to be. Your website should be there, when all of their attention is focused on what you offer. The best time to be there, is when they have set aside time to go online and find the answer to a question, solution to a problem or filling of a want or need, relevant to the service you offer or the product you sell. If you need professional guidance to resolve a particular issue relating your website’s SEO, we can help you with a single assignment SEO consultation. A quick overview of your website- stepping back and looking at it from a distance- will help us determine quickly what the problem is. We’ll be able to estimate the amount of work required and give you a broad indication of cost. If you want a more comprehensive report on the search engine optimisation aspects of your website, this will narrow the accuracy of the costs estimate. Once we go ahead with the work, you’ll see vertical gains quite soon in some keywords, and organic search traffic will increase. We consult with you regularly and fine-tune the strategy, keywords and plan to reflect trending organic search terms for your industry, the best keywords based on the returns your business gets for the terms which bring clients- and the queries which attract your perfect customers. Often your best clients will come from keywords which are not completely generic or mainstream. Remember- it’s business you want- not just traffic! Without the right traffic to a website optimised for conversion- there’s no business. And without a bouyant business, you go broke. Often we get asked to provide specialised SEO advice when a business has been working with a search engine optimisation company and either not seen results at all- or had a sudden drop in organic referral traffic. Other examples of one-time consulting assignments, have been setting a plan for people within the business to guide them in content creation for the website. 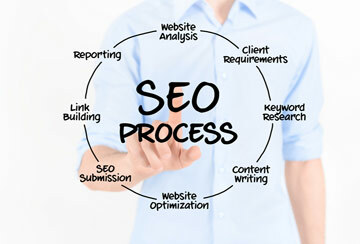 We’ve outlined a process to follow, in order to maintain SEO best practices- and these principles will endure the test of time, as they are based on establishing the credible authority of the website as the natural choice for answers to user queries. If you have your own marketing staff or website management team and need someone to oversee and guide the work these people do, an ongoing arrangement is flexible enough to let you buy blocks of SEO support. We can help with any level of search engine optimisation assistance- from advice by phone or email, to fully tailored programs written specifically for your business. We’re only a phone call or email away- and able to run educational events for your team or deliver personalised coaching as part of our services. As your competitive landscape changes and your competitors use different tactics, we can engage them directly with a well developed, marketplace-proven strategy. We can assess the quality of work done by your in-house people, and help them improve by giving regular feedback, support and encouragement. Results- and how quickly they come- depend on how closely your team follows our recommendations. Regular, scheduled SEO consulting, allows for a complete revamp of your digital marketing and conversion optimisation strategy. We work with a number of businesses now, from professional services, to leisure and tourism, industrial goods and equipment, arts and fashion as well as online retailers. All have enjoyed outstanding growth in web traffic and sales, as a direct result of implementing our programs. We provide our regular SEO clients with a high level of email and phone support, as well as oveseeing and enhancing the content they create and publish. We oversee the creation and optimising of digital assets, like info-graphics, images, podcasts and video. We also fine-tune the written content and perfect the relevance and search engine friendliness of every word that goes on their website. Have an SEO specialist manage your website and run your search engine optimisation campaign- for your total piece of mind. We can do this on a part-time or fixed term contract. We’ll research your competitors, reverse engineer their strategies and success- and ensure you beat them. Our expertise can be utilised to develop all your content as well as handle all your web programming, troubleshooting, social media and inbound marketing. If you have PPC or an Adwords account, we can optimise that for you too. Competitive industries need a full time SEO consultant on staff- but most businesses don’t. Part-time access to a consultant works because you’re only paying for a specialist for the hours they really need to work for you. During the agreed allocated hours per month, we can manage your complete campaign with expertise and agility- ready to respond to a changing market. We currently have a number of arrangements in place where we are wholly responsible for an organisation’s website SEO. We have achieved and maintained top or very high first page organic rank for their most competitive keywords. It’s more stable and predictable, working in a consultative capacity, when we have the freedom to concentrate on the search engine friendliness of a website and the content it presents- without spending hours locked into discussions about the font used on a button, or trying to get buy-in on every single idea. Interested in Our Expertise as Consultants? Find out how we can help you- and discover ways to benefit from the expertise of an SEO specialist. You can schedule a meeting by using the contact form on the contact page of this website. Explain a little about your website, its history and what you want from working with an SEO consultant. The first meeting is free- and we guarantee you’ll walk away with some valuable insights, just for taking the time to come and see us.